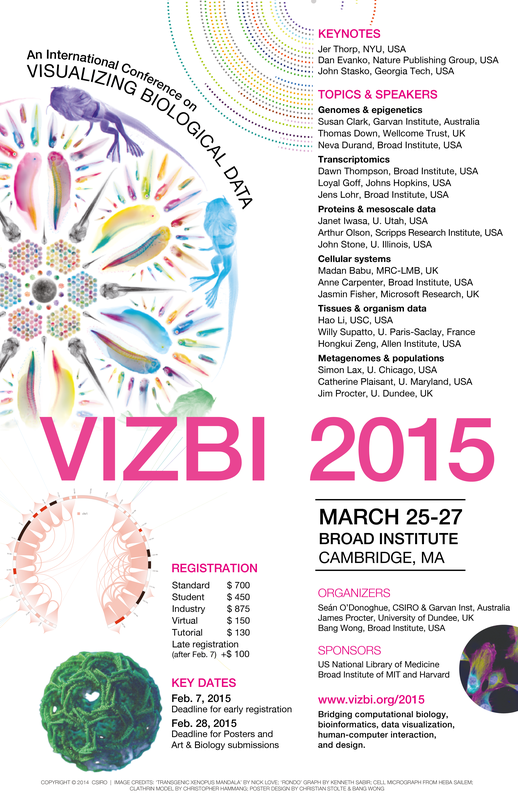 In March 2015, the BROAD Institute hosted the 6th VIZBI conference to a large number of attendees. Contrasting to other scientific conferences based on submissions, VIZBI’s speakers are invited and are hand picked based on their relevant research contribution and communication skills. This ensures a fascinating three days of presentations bringing experts in visualization together with the leaders in biology and bioinformatics tools, where the talks happen to be ordered by the physical scale of the topic: starting small with genomics and epigenetics, then transcriptomics, proteins, systems, then finally ending on the last day with tissues, metagenomics and populations. John Stasko (Georgia Institute of Tech.) gave a great keynote on data visualisation principles, giving examples of how visualizing even existing public data can have a big impact (in this case, it was a student project that visualized the salaries of staff at his institute). Susan Clark (Garvan Institute of Medical Research) discussed the current challenges in understanding epigenomic data. Jer Thorp’s (New York Times) keynote was a highlight, showcasing numerous projects he had worked on from diverse fields. 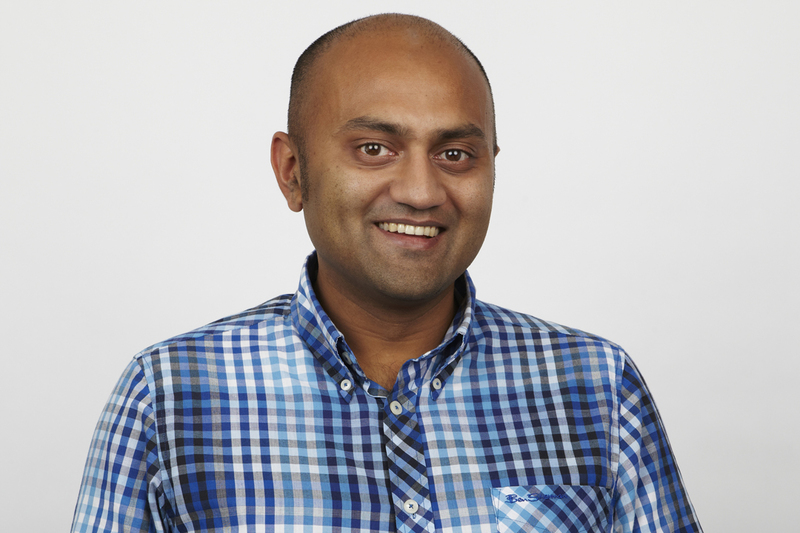 He demonstrated that the current conventional assumptions on how to visualise a particular dataset, e.g. multidimensional features of shark genetics, may not be the most appropriate. Importantly, he showed examples of the value of interaction to reduce complexity for the user. Dan Evanko (Nature Publishing Group), who is a familiar face at VIZBI, gave the final keynote about visualisation for scientific publication. Overall, VIZBI 2015 was another success with engaging speakers and relevant tutorials, while also giving the opportunity for attendees to present at the multiple lightning talks and poster sessions.